The seemingly retired producer appears to be working again. Last week, Metro Boomin announced via Instagram story that he was "retired from rap." On Thursday, Gucci Mane appeared to verify that news, as well as pull him out of said retirement. 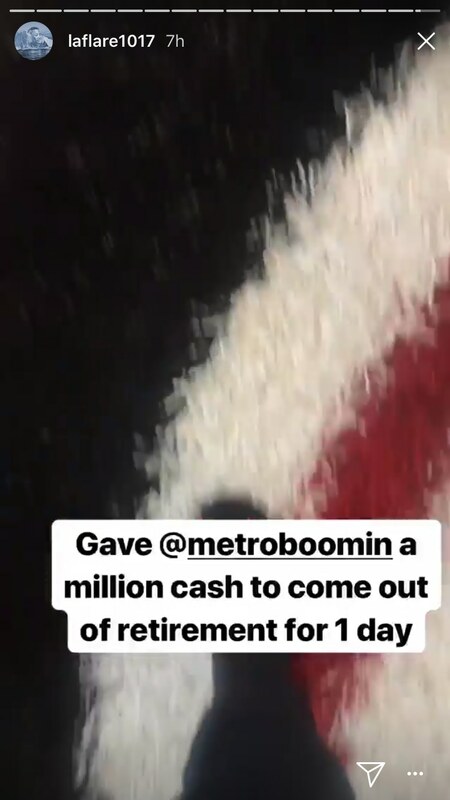 Complex reports that Gucci shared his own Instagram story on the situation, writing "gave @metroboomin a million cash to come out of retirement for 1 day." The caption was shared along with a video of the two working together, captured in the video below. For what it's worth, Metro Boomin's Instagram was also updated recently; his previous bio, which read "Retired rap producer," has been removed. Unfortunately for anyone looking for his next move, there's nothing new in its place. Thumbnail image courtesy of Vanni Bassetti/Getty Images for Dior Homme.